Earning money online is the new trend going on right now. Most of the people think that it is an easy task, but it isn’t it takes a lot of patience, skills, knowledge, commitment and hard work. If you own a blog, whether it is a good running blog or not this post is all for you guys. When it comes to earning money online, the first thing comes in mind is good ad network. You will survey many ads network while blogging and the most popular one would be Google Adsense. But we need something stable and something which doesn’t disturb our readers while surfing through our blog. This post is all about an easy way of making money through your blog by just shortening the links and getting paid. The name of the Tool is Shorte.st. If you don’t have a blog, still you don’t have to worry because you can earn by shortening links and sharing them to social media platform like Facebook, Twitter, WhatsApp etc. First you need to build a social media fan base and then you have to share the shorten links in your social media network. You can track the stats, earning and referral details from your Shorte dashboard. 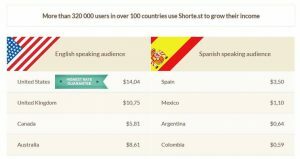 Shorte.st is a European based link shortener tool that is connected to advertising network so that we get paid when we shorten a link and make someone clicks on it. Unlike other link shortener sites, Shorte.st is the best and easy way to earn some good money. The tool has an easy to understand interface and the payment processing technology is also on the mark. It is one of the best URL shortener network. 1. Shorte.st link shortening service basically provide a unique style of showing ads where the viewer can redirect to the original link within 5 sec. So you can use this simple tool to shorten any links that you want to share online and make some decent cash. 2. 20% commission on referrals – lifetime – you can refer your friends and earn 20% of commission. 3. The views, clicks and payments notifications are updated everyday, so you don’t have to wait to see your results, and it will lead you to improve rapidly. 1. Visit This link, click the “Join” tab on the upper-right side. 2. 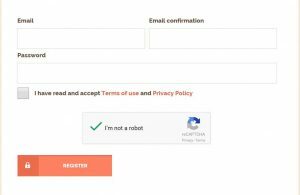 You will see a form with 3 fields that you need to fill – Email address, Confirm Email and Password. 3. Click the “Register” button. 4. That’s it you have successfully registered to Shorte. Use the above mentioned link to register. Now, let’s head to the steps you need to follow to Shorten any link and get paid by using Shorte. 1. First of all, copy any link and paste it in the box which is located after the Ninja head and then click on “Shorten” button. 2. After clicking on that button, it will give you shorten link. 3. For Shorte Payout rates, Visit This Link. 4. Shorte pays money to its user on every 10th of the month. Currently, it has 3 withdrawal methods, PayPal, Payoneer & Webmoney. The motive to share this post is quite clear, I have shared this post just to give you a clear idea about how you can make money through your blog or website by just putting external links of your blog which are shortened or I can say are linked to different ads. It’s quitea simple way to make money without any hassle. If you need a trustworthy and network which can make you a great amount of money depending on your blog traffic or social media fan base than Shorte.st deserves a shot. It’s the best way to earn money on short links. As mentioned earlier that the tool is 100% user friendly and has great features to help you at every point. So, hence was the post to Shorten any link and get paid. I hope you liked the post. Feel free to comment your reviews in the comment box.